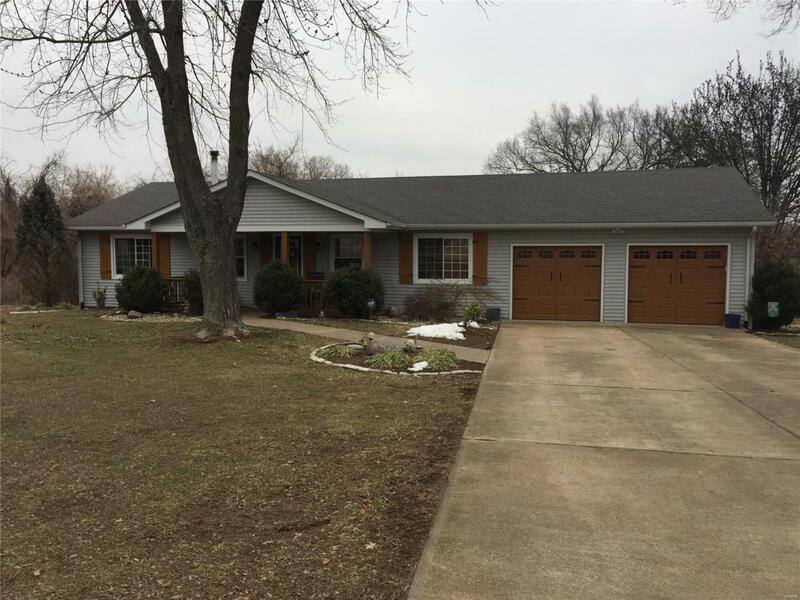 "Sweet" updated 3 bedroom, 2 bath home on nearly 3/4 ac! Spacious open floor plan, huge comfy living room, wood burning stove, hardwood floors, updated kitchen, Corian counters, ample custom cabinetry, most appliances, ceramic floor, adjoining dining/breakfast room, updated hall bath, some tilt windows, 6 panel doors, some newer carpets 3 generous bedrooms, including a private master bedroom w/updated full bath and original wood floors. Need more space? Check out the finished lower level! Family room/rec room, additional kitchen, cozy office nook and plenty of storage. Got a hobby? Enjoy yourself year round in the oversized 2 car heated garage w/ newer insulated Buck style doors! The home is nicely situated on a double landscaped lot, with a Koi pond, huge aggregate patio and backs to the park. Club amenities, sandy beaches, 4 lakes, boat ramp and more! Hurry!! Too nice to last!